The Old Telegraph Station, also called Wathne´s House was built in 1894 as a private home for Norwegian entrépreneur Otto Wathne. In con- junction with the laying of the first submarine telegraph cable between Iceland and the continent in 1906 it became the first telgraph station in this country. The first cross-country telephone line was carried by 14,000 telephone poles from Seydisfjordur to the capitol, Reykjavík. 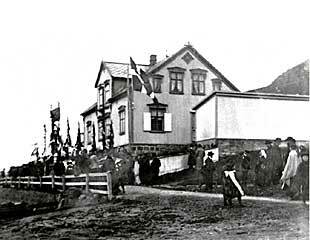 The open- ing of the landline 29. september 1906 marks the birthdate of Icelandic telecom. 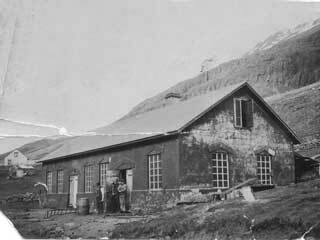 In 1973 the Government donated the house to the town of Seydisfjordur to shelter a museum.